Housing an adult sulcata tortoise is definitely different from housing a juvenile one. There are many things to consider and planning will help you and your pet in the end. In this article, I will go over what you need to know to house both a juvenile and adult one. 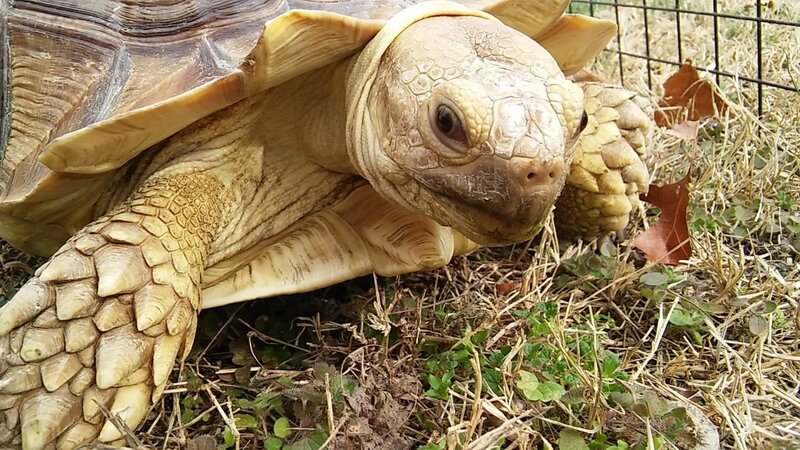 I will also provide instructions on how to build your tortoise habitat, with important things to keep in mind that will help prepare the transition from juvenile to adult living. With a lot of planning and work, your tortoise can live an amazingly fulfilling and long life in your home—for generations to come, hopefully. This is the best book to extensively research sulcata tortoise care with. 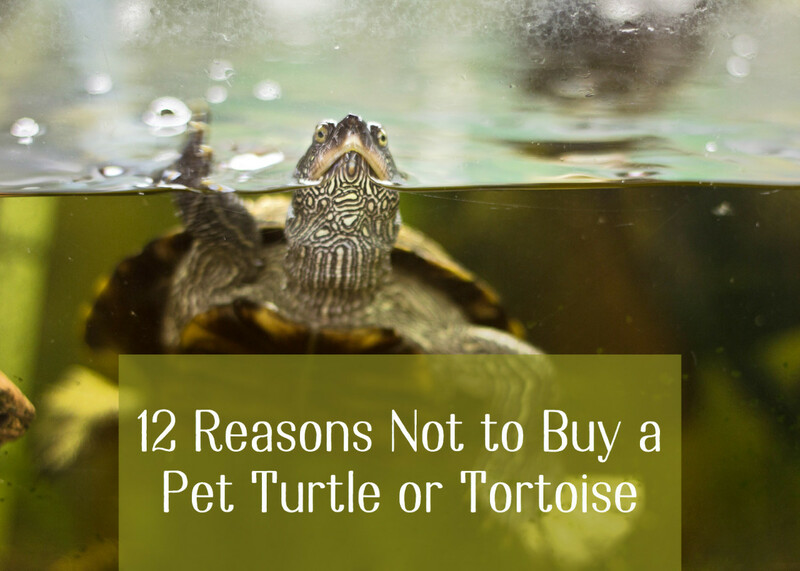 I always suggest reading up on everything to those who are raising sulcata tortoises. Make an informed decision about what you think is best. This is one of the guides that I have in my extensive collection at the moment. Obviously your tortoise cannot live in a tank forever. It will grow to the size of the habitat you give it, actually. One thing I always keep in mind is that it is only temporary to house them inside. Mine was only inside for two years from the time I got him. 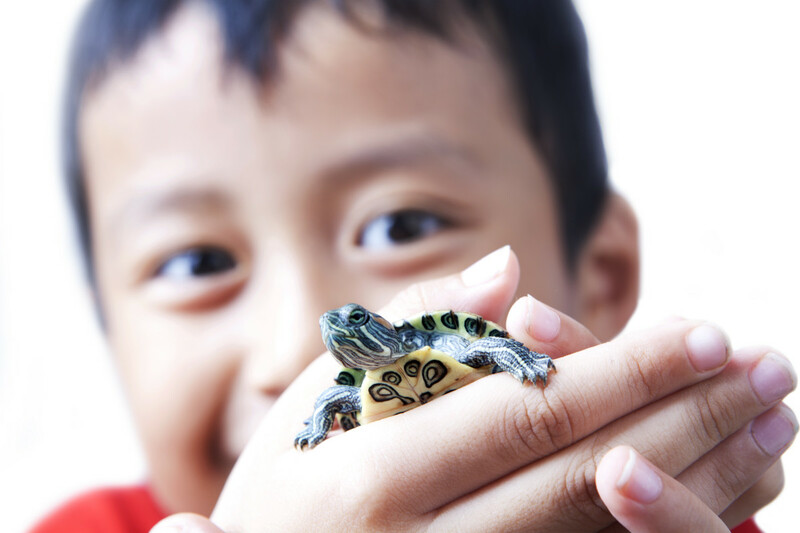 Tortoise care is actually much easier once you are able to move them outside. It is absolutely vital to their health to move them outside as early as possible. There is nothing better for one than natural sunlight. 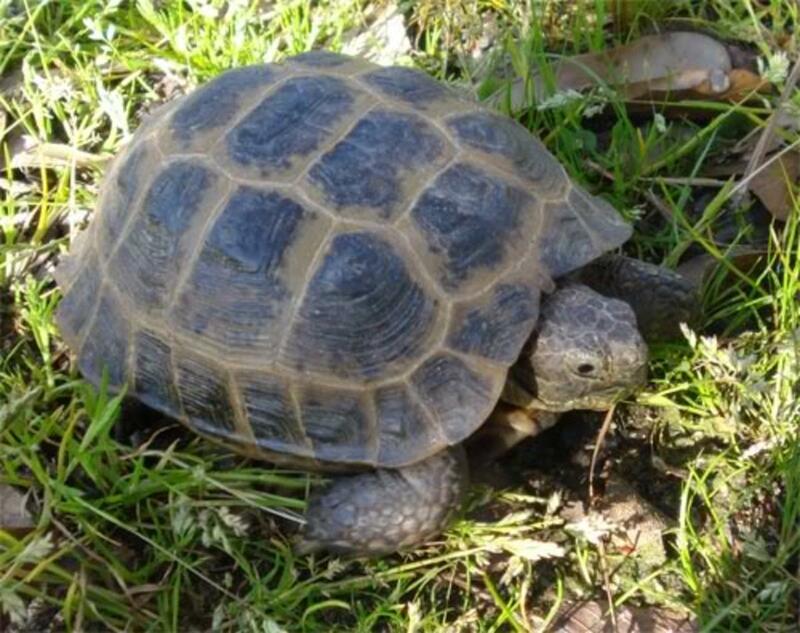 So how do you know when your Sulcata Tortoise is ready to be moved outside? Your sulcata tortoise . . .
✔ outgrows his 100+ gallon tank. ✔ and his shell is about a foot long, about 6-8 inches wide, and stands 4-6 inches tall. ✔ is able to burrow. ✔ eats and excretes regularly. ✔ and his habitat is built and free from hazards. Never leave your juvenile tortoise unattended outside for long periods of times. Ants can attack and kill them! I suggest making a habitat enclosure inside your yard, rather than letting it roam the yard freely—until they are just too big to escape the yard. 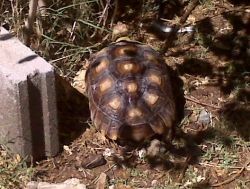 Over the past year or two that you have had your tortoise, you may have observed certain trends about where he likes to hide and dig, eat, sleep, and poop. Taking these into consideration, as well as considering shade and burrowing, you can embark on your habitat creation. Be careful when adding other elements to the cage, such as a shelter. A tortoise will climb whatever is in their cage, and it is not uncommon for them to flip onto their backs by accident. A tortoise cannot right themselves, and this will eventually lead to suffocation and death. You should check on your tortoise often to make sure this does not happen. Snow is any tortoise's great enemy. They prefer temperatures above 70 degrees, at the lowest. Otherwise they will look for a den and go into hibernation mode. Since not all types will need to hibernate, and most cannot survive cold temperatures and snow, you will need to build them a large house enclosure with proper lighting on a timer, as well as heating elements to keep them warm. my sulcuta tortoise is getting very big now but having a little baby as well i am not sure on a way for keeping them warm with more space than they have now. i am not sure on the right enclosure?? I am afraid that my Sulcuta will burrow under my fence. What do I do? We live in Arizona, how can I keep him cool it can get 115, he about 40 lbs ? I live in Michigan & have a 8 yr old tortoise @7 lbs - I keep him indoors - but want to build him a outdoor enclosure - what is suggested for a outside weather proof enclosure ? 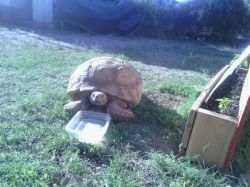 I have a 10 year old Sulcata tortoise, I feed him a mixture of alfalfa, Bermuda grass and vegetables, he is big and healthy. I f you are thinking of getting a Sulcata just remember that they get really big, mine is about 50 lbs right now and since it is male, may reach 200 lbs, the rescues are full of them and zoos won't take them, rescues give some rescues give them away, they need a lot of room and to stay warm in the winter even in Arizona. They are cool but it takes dedication to keep something that gets that big, lives 100 years and can be destructive. I got mine when a lady in Flagstaff couldn't keep him anymore because he was too big and he was only abot 7" at the time, he is now about 20" Read up on the sites before you buy one! 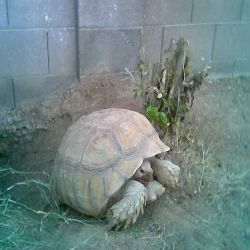 I live in Kingman,AZ,I am looking for either a baby Sulcata or a juvenile. 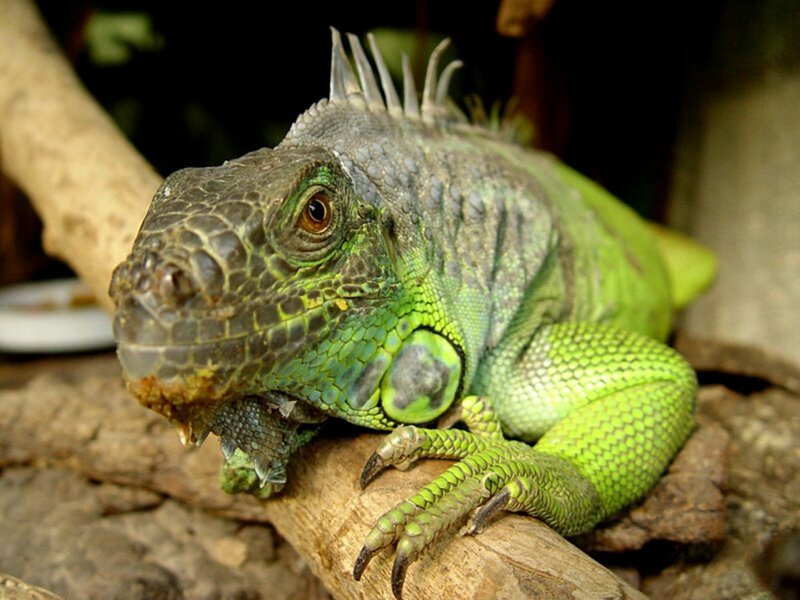 I have plenty of yard safe environment for them to move around and make their dens.I have years of experience handling them as well so the galaPagos male and female type when I was a kid.Please send me a new email to rayjayster@gmail.com if there is any needing a good home an space to live. I live in south florida. It is supposed to get into the 40's tomorrow night. My problem is my tortoises are down in their burrows outside and I can't get them out the holes are too deep. Will they be warm enough? Learned something new! Great lens. Who would have thought that a tortoise would make such a great pet?! OK I have read about 20 different sites about these tortoises, and they all mention feeding alfalfa, but none address whether I should feed them alfalfa pellets. I also have rabbits, so would it not work to feed the tortoises alfalfa pellets as well as they dry hay? Very interesting! 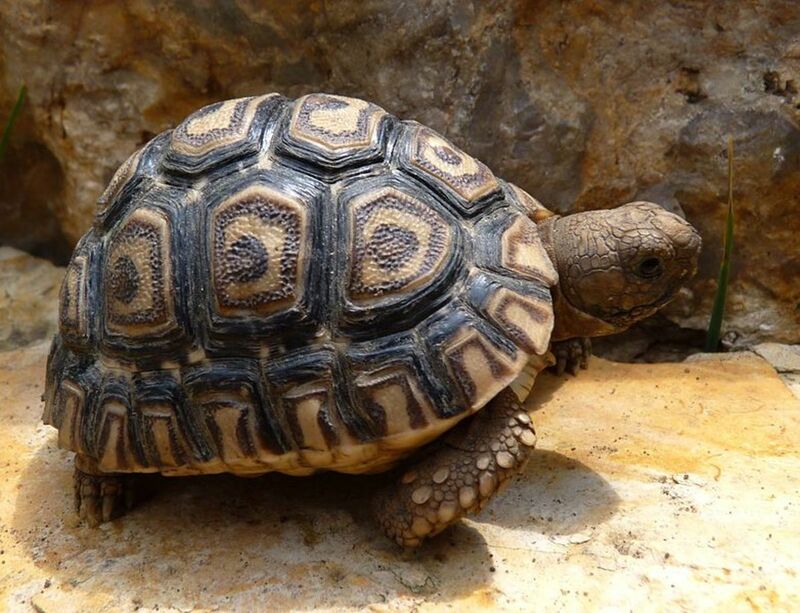 I've always wanted a pet tortoise but living in the Northeast, the climate is just too cold for a desert tortoise. If the temp does not get below 60 at night does a sulcata still need a heat lamp? I live in Kentucky and winters can get down into teens during Feb. what considerations and actions to take to keep sulcata safe? @anonymous: ya thats good to feed it. I have two adult spurs Is potato vine ok for them? Hey, i'm just wondering. can i feed my sulcata tortoise with "RABBIT'S HAY"? @anonymous: I think the potato vine should be fine for them. They seem to have an automatic sense of what is good and bad for them. @anonymous: In short, you can't. If you need to keep the tortoise outside of your house it will have to be either the garage (with a really good heat lamp on a thermostat) or construct a heated shed in the back yard for the tortoise. If going the shed route it needs to be person sized so you can physically go in to take care of cleanup (removing a roof would be too cold even for a short time. We are currently using the garage but will probably build a shed later...even in texas it is too cold to leave the tortoise outside during the winter.